The Book of Beauty Minimal Makeup palette comes in a slim box with windows that allow you to see what shades are inside. At the back is an image of the founder, Petra Strand, her thoughts about this makeup set, a few tips on application and some product information. As the name implies, this makeup palette resembles a hardbound book with magnetic snap closure making it very easy to travel with. I love that each pan is large enough to pass for full size so I'm guessing it will take a while to consume. The Book of Beauty Minimal Makeup palette was created to help achieve that "barely there" makeup look. It comes with 2 highlighters, one is a gorgeous champagne color that effectively reflects light, providing a pop of color to your skin. The other highlighter might look quite intimidating because it appears shimmery white on the pan but surprisingly looks muted and has a matte finish when swatched. There are two blushes in this palette, one is a matte rosy pink while the other is warm gold with a bit of shimmer. 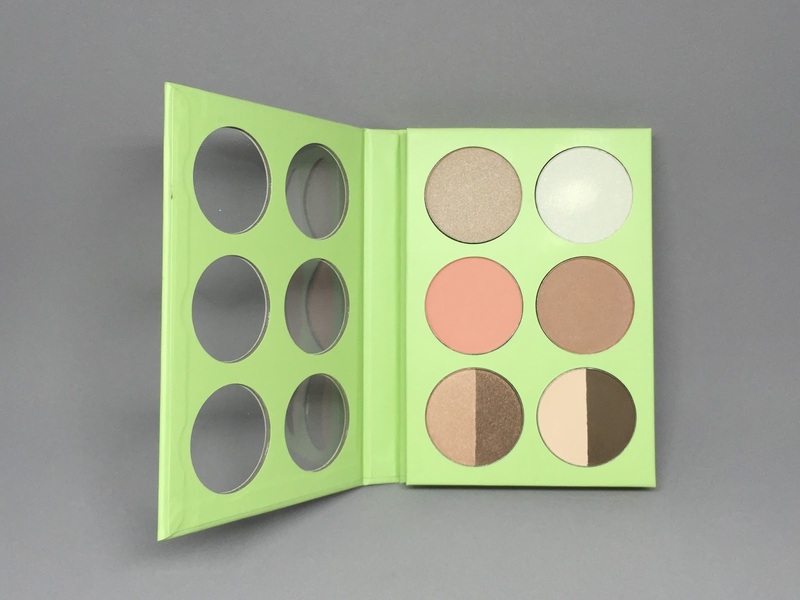 Lastly, this palette has 4 eye shadows with one pan containing a pair of shimmery golden and bronze shades while the other has 2 matte shades in white and chocolate brown. I'm impressed with how pigmented the shades are that a light tap or swirl of your makeup brush picks up a substantial amount of product. I love the silky texture and how the colors really show up on your skin. These don't cake nor settle on creases. Each color is gorgeously blendable with very minimal fall out except for the matte white eye shadow which is quite powdery and breaks up a little when picked up by a brush so you may want to use light strokes when dealing with this particular shade. This makeup is paraben free and was not tested on animals. You may get it as well as other pixi products from your local beauty counters like Landmark Trinoma. It's sold for Php 1,290 which in my honest opinion is quite affordable considering you get 6 products in one compared to the amount you usually spend on just one piece of makeup. Overall, the Pixi Book of Beauty is a great palette to have around and I'm sure you'll enjoy having one as well. You may get this and a lot more from the Perfectly Pixi Glamourbox for the same price so go get yourself one until they're available. That's about everything guys, if you have any questions just go right away and leave them on the comment box below. Thank you once again for taking the time to visit and have a great weekend!